Julie Semler is the NARA Administrative Coordinator responsible for the overall management of business and operational functions related to the Northwest Advanced Renewables Alliance (NARA) contract for Ralph Cavalieri, the Associate Vice President for Alternative Energy. Julie’s duties include budget development and management; fiscal operations oversight; financial reporting; subcontracts compliance oversight; and special events management and coordination. 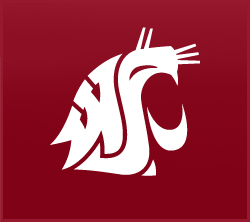 Previous positions were in the College of Agricultural, Human, and Natural Resource Sciences Institute of Biological Chemistry; College of Agricultural, Human, and Natural Resource Sciences Business and Finance Office; and Payroll Services.